When Tyler Burdick was recovering from a serious leg injury suffered while serving as a combat medic with the Marines in Afghanistan, he had one goal get back on a snowboard. 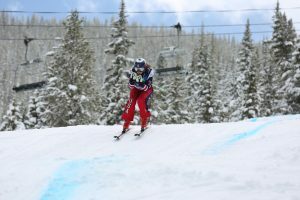 The 32-year-old Burdick, who worked as a snowboard instructor at Snowbird when he was younger, just wanted to be able to participate in a hobby he’d enjoyed his whole life. Little did he know he’d not only get back on a snowboard he’d become one of the top adaptive snowboarders in the United States. 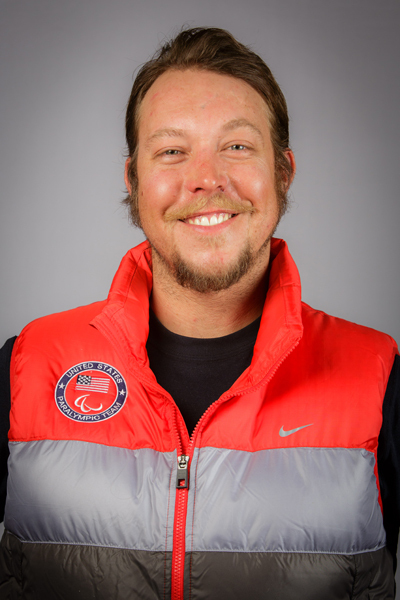 He’ll be representing Team USA in the upcoming Sochi Paralympics, which begin on March 7. But the recovery process was anything but easy for the snowboardcross athlete. While serving his third tour of duty overseas, his group’s armored vehicle was struck by a roadside bomb. The rest of Burdick’s group was knocked unconscious, leaving him as the one who remembers the most details of the crash. He said it took him what felt like a few minutes to realize how badly he was injured. "Initially the shock of the blast was pretty big it took me a minute to catch my breath and realize we got hit," he said. "I didn’t realize I was even injured at first." Slowly, the gruesome details became more evident to him. "My legs were just mushy," he said. "It didn’t really feel right. They were floppy like a wet noodle the bones were all crushed." After being medevaced to a hospital in Maryland, Burdick was given an option rehabilitation or amputation. He chose to try to rehab from his injuries. He said he’s glad he made that decision overall, but sometimes he has lingering doubts, especially on days when the pain in his legs is higher than normal. "I’m happy with where I’m at right now and I feel I’ve recovered from that injury very well," he said. "But sometimes I wonder if it was right to do the salvage and not amputate." But, eventually, he was able to get back on a snowboard. "Getting back on the snow was kind of my ultimate goal," Burdick said. "Snowboarding has been my passion for as long as I can remember. And it was pretty obvious I wasn’t going to be able to continue serving as a combat medic." 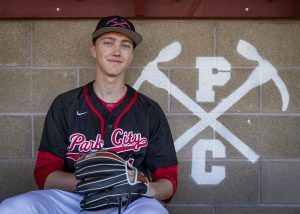 The process of relearning a sport and qualifying for the Paralympics team was difficult for Burdick, who had just been promoted to the U.S. National "B" Team last year. But impressive results in late 2013 and early 2014 secured him a spot on the five-person male boardercross team. "I’ve learned a lot over the last few months," Burdick said. "I’m still a rookie racer compared to a lot of guys on the team. I’m really playing catch up." 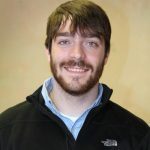 So, after representing his country in a military uniform for several years, Burdick now has the chance to represent the United States as an athlete. "It’s a huge honor," he said. "I don’t know what to expect. I’ve heard so many stories everybody’s had a little bit different experience. I think my expectations are going to be blown away. I don’t think I have a grasp how big this really is." In Sochi, he hopes to continue improving and have a great experience against world-class competition. "I’m not expecting to win in Sochi, but I’m definitely learning and my skill set is growing," he said. "I just want to go and do my best, put on my best race. I want to show my family and friends who have been through this whole experience with me. It was hard for them to see me in a state where I didn’t know if I was going to be able to return to an active lifestyle. This reinforces that I’ve overcome this I’ve overcome this challenge and put it behind me." The men’s and women’s snowboardcross races will be held on Friday, March 14.